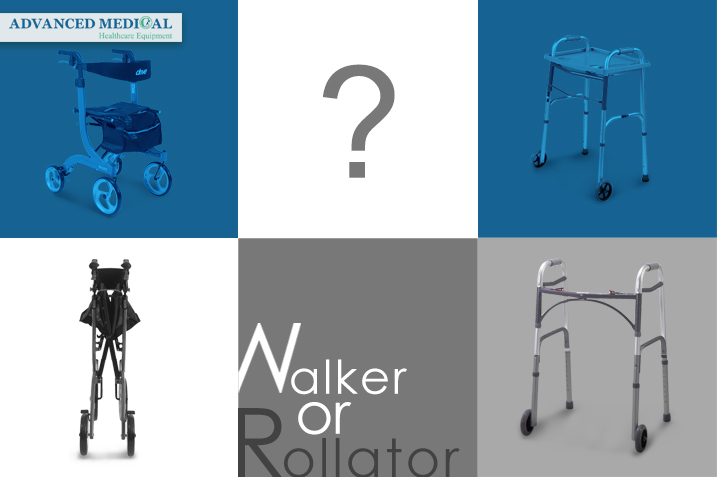 Walkers and rollators are two popular mobility aids that can help people who experience physical or neurological challenges with mobility. First of all, we are going to talk about the definitions of walkers and rollators. A walker or walking frame is a tool for people living with age or disability related conditions, who need additional support to maintain balance or stability while walking. On the other hand, a different approach to the walker is the rollator, also called wheeled walker, invented by the Swede, Aina Wifalk in 1978. Rollators are made in 3-wheel and 4-wheel styles. Both are available with different wheel sizes, with larger wheels being more durable and stable on surfaces, especially outdoors. 3-wheeled rollators are usually easier to move around in tight spaces. A 4-wheeled rollator adds more stability and a seat, so the user can rest easily. In general, walkers have four legs. Some have two front wheels and some have glide skis that can be installed to allow the walker to glide smoothly over surfaces. Most rollators have four wheels and two brakes instead of legs. All four legs of walkers should be in contact with the ground when walking, except when the user needs to lift the rear legs up off the ground to maneuver easier across surfaces. Walkers allow for stability and partial weight bearing while walking. With rollators, wheels assist users so they don’t have to lift it up and move it forward. This supports a user who lacks arm strength. Rollators are faster and easier to move because of the four wheels. Rollators also can be equipped with accessories such as padded seats, carrying bags or baskets, and other items. 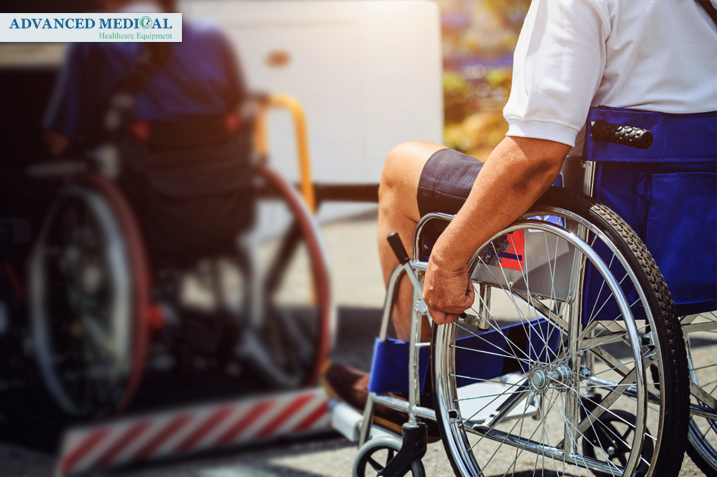 At Advanced Medical, we are ready to serve people who have mobility issues. For more information on buying or renting home healthcare equipment, please contact us. 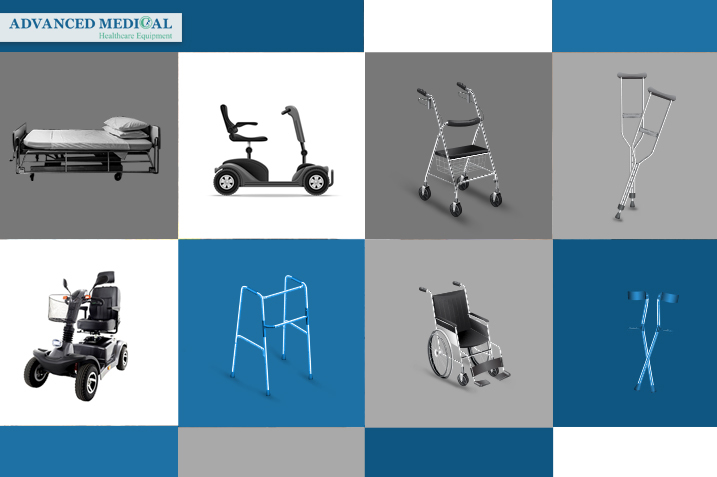 Advanced Medical can help Canadians who live in Metro Vancouver with a wide range of healthcare equipment services. Advanced Medical has a combination of highly experienced personnel and high-quality products. Our client’s happiness with our products and services are how we measure our success! No matter what the issues are that you’re experiencing, you are always welcome and supported at our store.